Below you’ll find transcriptions of five of our interviews with native Spanish speakers. Each offers you the conversation word-for-word in both Spanish and English to help you get to grips with the topics discussed. The best part? They only cost £1 apiece! 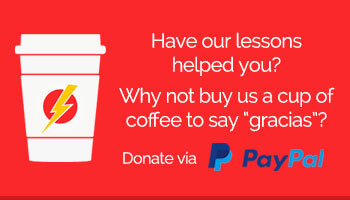 Language learning for less than a latte. Not bad at all!